Fight fans were delighted when news first broke that Donald Cerrone would be fighting Mike Perry in the co-main event of UFC Fight Night 139 in Denver. After all, both men posses brutal knockout power and finishing ability. 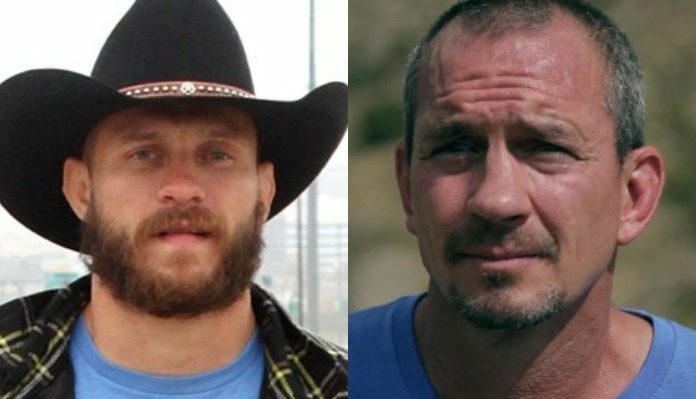 With that said, the “Cowboy” vs. “Platinum” fight became even more intriguing after it was made public that Donald Cerrone and former coach Mike Winklejohn had endured a major falling out. Donald Cerrone accused his former striking coach of running a “puppy mill” and suggested that his former gym was choosing money over loyalty in recent years. All of that pre-fight trash talk made Saturday’s co-main event all that more interesting, as Cerrone’s former coach Mike Winlejohn stood in the corner of his Donald’s UFC Denver opponent Mike Perry. Despite having the pressure of fighting a former teammate in front of his hometown crowd, Donald Cerrone was once again able to seize the moment scoring a sensational first-round submission win. “Cowboy” was able to lock-in an armbar submission and after a couple of adjustments forced Mike Perry to tapout. The finish actually resulted in a broken arm for the “Platinum” one, sending the brash welterweight back to the drawing board. Twenty-four hours following Mike Perry’s loss to Donald Cerrone, coach Mike Winklejohn took to Instagram where he attempted to fire back at the UFC’s most winningest fighter. Donald Cerrone has yet to respond to Mike Winklejohn’s post, but you can bet a reply is coming.